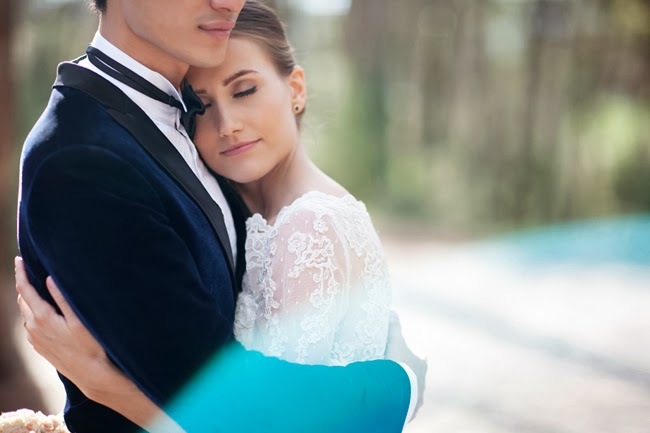 Xenia Olivia: Wedding Wednesday: Happy first month of marriage! Perfect timing! Today we're celebrating our first month of marriage, and it happens to be Wednesday, so the occasion calls for a Wedding Wednesday post! I just got the soft copy of our wedding album and all our pictures from our official wedding photographer, I'm over excited!!! Expect lots of wedding pics in the weeks to come, because I'm dying to share all of them with you and finally getting to reveal everything about our wedding! As for our first month of marriage, it's been an absolute bliss. Did I mention my wedding day was the happiest of my life? Well, the month that followed has been the happiest period of my life! Being married is amazing beyond words. I'm enjoying this new stage of my life oh-so-much! People ask me whether something has changed after our wedding. And the answer is SO MUCH HAS CHANGED! Yes, we have been living together for two years and, yes, we're still living in the same apartment, but things have changed after becoming husband and wife. A wedding is much more than a party, much more than a celebration of love. The vows that we said to each other during the ceremony are deep inside my heart, and somehow that day changed everything in our relationship, for much much better. I feel our relationship is ever more safe, caring and loving. Let this fairy tale never end! Fa temps que et segueixo al blog però mai comento, però avui valia la pena. Felicitats pel vostre matrimoni i felicitats pel teu blog. La segona foto es PRECIOSA!! A wedding is much more than a party, much more than a celebration of love. such an awesome pictures and memories of Happy first month marriage.This looks like a Wedding venue GTA such a dream come true.I loved it,thanks for sharing keep up posting more. I cannot wait to get to that moment in my life. My fiance and I have sought Vow Renewals in Key West which would help us out in our wedding. Oh this is going to be so exciting.